Zomato wants to be the last word on restaurants, both consumer and business end. In the latest of the series of changes to get there, Zomato has launched a technology platform called ‘White Label‘ that “enables restaurants to launch custom-branded native mobile apps, and bridge the gap between them and their customers”, said the Zomato blog. 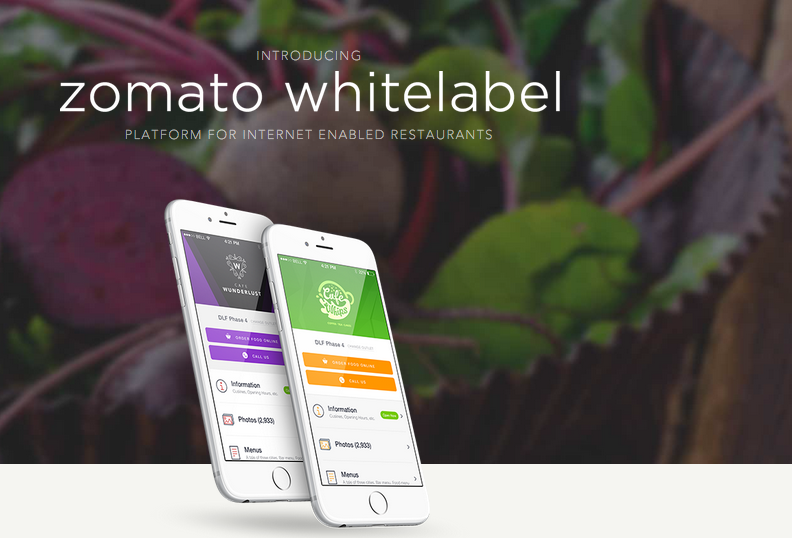 Zomato White label Apps is a plug-and-play platform, which will power a restaurant’s digital identity. Around 100+ restaurants have already signed up for the subscription based service, the blog said. The platform mainly provides custom-made apps to restaurants which only helps them get their own app, but are adapted to be listed on Zomato order for easy online order. The platform boasts of features like customisable design, push notifications, integrations for table reservation, easy control and analytics and reporting. This is likely to bode well with restaurants with basic or limited tech resources or the know-how to get online to capture the fast growing online- restaurant business. For Zomato it’s a strategic move to increase its restaurant base in the Zomato Order service and compete with established players like Foodpanda, Swiggy, Freshmenu, Faasos etc. Clearly, Zomato has beefed up its efforts to be the leader in the restaurant tech business with a number of other initiatives. It recently announced its last mile delivery service to order from restaurants that don’t otherwise provide home-delivery, a move that will likely beef up Zomato Order’s current restaurant base manifold. To that end, Zomato has picked up minority stakes in the logistics companies Grab and Pickingo. Zomato has also integrated Paytm as a payment gateway on its Zomato Order platform citing that online food ordering was a prime use case for Paytm wallet users and a move towards doing cashless transactions in India.